Welcome to. .. . . . . . .
MORE THAN 15,000 PAINTED FLOWER POT CREATIONS! YES, WE KNOW WHAT WE'RE DOING. PATRICIA'S POTS IS NO LONGER SELLING FLOWER POTS AT THIS SITE. HEARTFELT THANKS TO MY MANY CUSTOMERS OVER THE YEARS. PLEASE FEEL FREE TO REFERENCE THESE PAGES for YOUR OWN FLOWER POT PAINTING ADVENTURES! 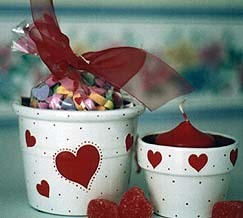 Paint and decorate a flower pots or tins for Valentine's treats or a plant. Free printable instructions including graphics for decoupage! 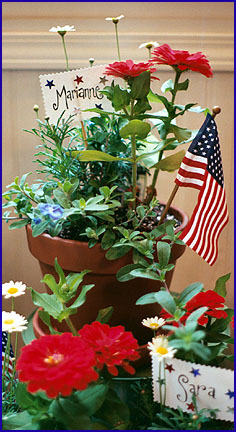 CRAFT YOUR OWN FLOWER POT BIRD BATH! 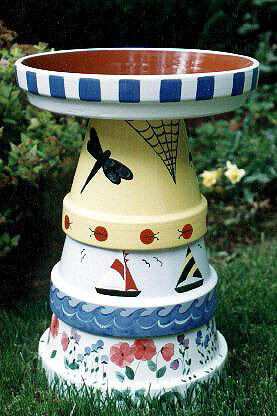 Paint and decorate your own flower pot bird bath for your garden. Take a look at these simple instructions. 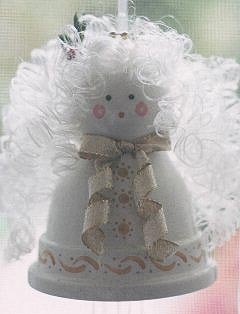 THINKING ABOUT COPYING OR USING CONTENT FROM PATRICIA'S POTS? THINK AGAIN! JUST BECAUSE YOU FIND IT ON THE INTERNET DOESN'T MEAN IT'S FREE FOR PERSONAL OR ANY OTHER USE. LEARN MORE ABOUT COPYRIGHT BY VISITING THE WEB SITES BELOW.